Some people refer to window condensation as sweaty glass, but the phenomenon doesn't have much to do with the glass itself. Condensation is caused by humidity in the room air, and the reason it turns to fog and water droplets on the window is merely because the glass is colder than the rest of the room. If the windows were made of metal, the same thing would happen, and it would be messier, because metal rusts. The temperature gradient at the window is responsible for condensation and fogging. The physics behind condensation isn't complicated, and if you understand it, you'll be better able to control it. Because, yes, there are things you can do to minimize condensation and preserve your windows and your view. Have you ever noticed that fog forms only when the air is cool, that rain tends to accompany a fall in temperature, or that heat and humidity go hand in hand? The underlying fact of nature is that warm air can hold more dissolved moisture than cool air. When warm, saturated air cools down, moisture precipitates out as mist or actual raindrops. Things can become interesting when condensation turns to ice on your windows. This is the exact reason why condensation forms on windows. The glass is an interface between the warmth of your house and the cold air outside, and when the warm air comes in contact with the cold glass, moisture precipitates out. 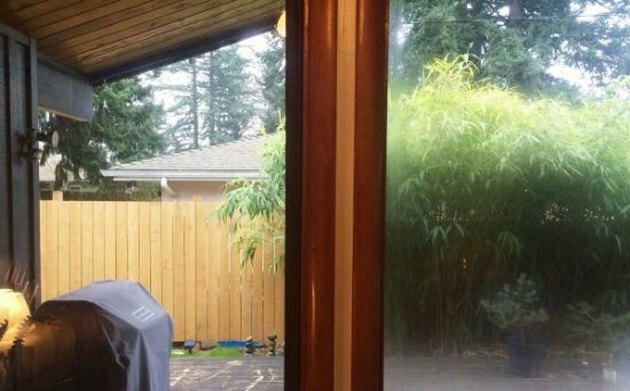 It's like a mini weather system on your windows. If your windows are poorly insulated, and the air in the house is extra humid, you could have a virtual rainstorm on the glass on a cold day. This is why a shower in the bathroom on a cold day may cause moisture to literally drip off windows onto the floor. Of course, if temperatures are below freezing, the condensation will freeze and you'll get a visit from Jack Frost. Occasionally, this situation can work in reverse. In very hot, humid climates, it may be the moist air on the outside and the cool air on the air-conditioned inside of the house. In this case, the condensation may appear on the outside surface of the glass. You have experienced this exact phenomenon if you have ever had eyeglasses fog up when you go from a cool indoors environment out into a very humid summer day. 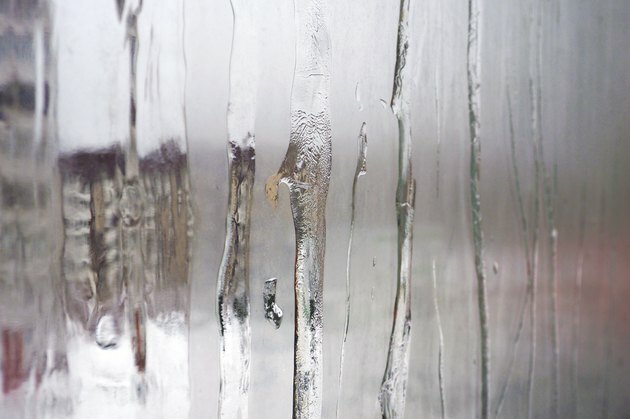 A certain amount of window condensation is normal in any house, especially during the winter. You can take it as a sign that the air in the house is humid enough to keep you healthy. Dry air is bad for your skin and hair, and it can cause respiratory problems. However, too much of a good thing can become a bad thing, and that's definitely true for window condensation. 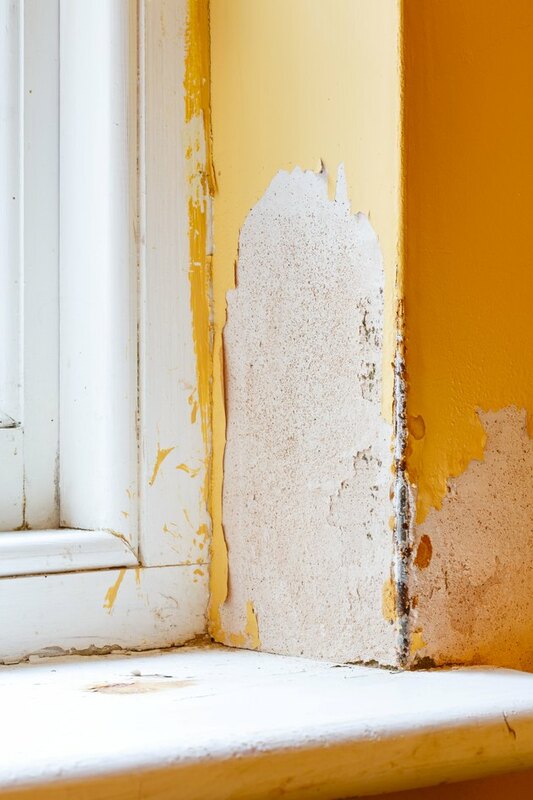 Excessive condensation can damage the window frame, the sill and the wall. When droplets form on the glass and drip down onto the sill to form puddles, it won't be long before you have a mold problem. If your windows have wood frames, some of the water is bound to find its way behind the sill or window casing where you can't wipe it off, and it can swell the wood, making the window hard to open and close. Given enough time, the wood will rot. 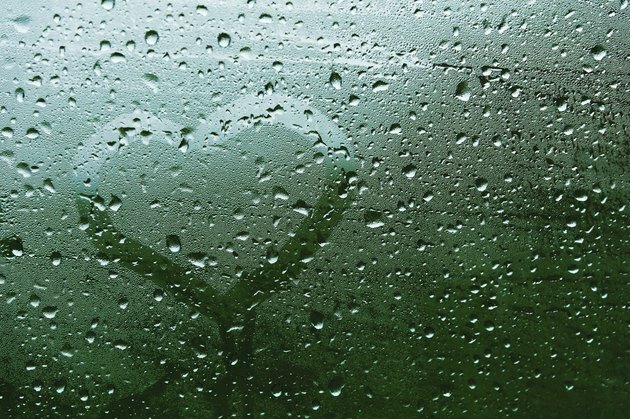 Condensation is particularly unwelcome when it forms between panes of a double-pane window. Double-pane windows, also known as insulated windows, aren't supposed to form condensation. The panes have been factory sealed to keep humid air out, and the space between them is often filled with an inert gas, such as argon, to provide a thermal barrier. When condensation forms between the panes, it means the seal has failed and the gas buffer has leaked out. The windows fog up, sometimes losing transparency altogether, and there's no way to restore transparency while preserving the insulation value of the window, short of replacing the entire window. 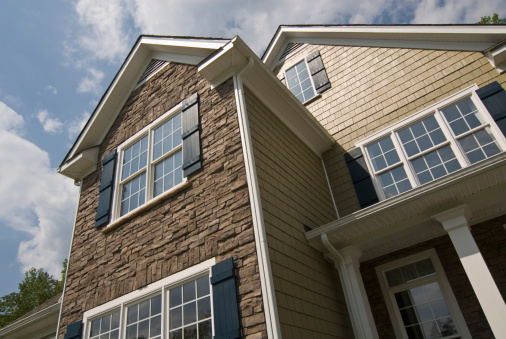 Repair strategies exist to defog the windows, but they can't restore insulation value. Double pane glass, also known as insulated glass, isn't supposed to form condensation. Reduce humidity in the house. The average relative humidity in the house during the winter months should be between 40 and 50 percent. It climbs higher every time you leave the bathroom door open after a shower, dry a wool sweater on the back of a chair or run a propane wall heater. If your central air system isn't controlling humidity, or you don't have a central air system, you need a dehumidifier. Insulate the windows. By default, the gap between the wall and the window frame is filled with air, and air isn't a great thermal insulator. Reduce the temperature gradient at the window by removing the casings and stuffing fiberglass batts or spraying insulating foam into the gaps. When the windows are dry, seal the gaps between the glass and the window pane with silicone caulk or new glazing putty. 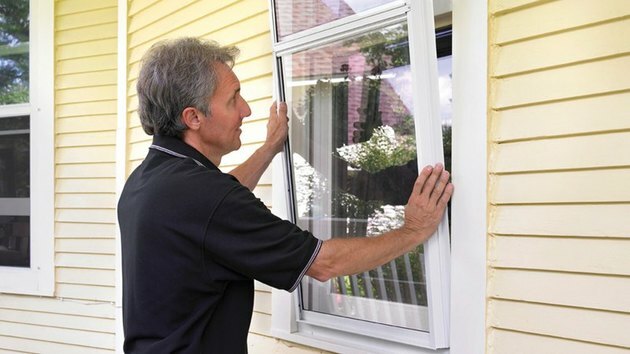 Install weatherstripping on windows that open. Use storm windows. If you live in an older house, you may have storm windows in the garage. Use them. This is why you have them. Besides controlling window condensation, storm windows save energy. There's no doubt that insulated windows reduce condensation. When the temperature outside is 0 degrees Fahrenheit, the inside temperature of a mid-range double-pane window is about 44 degrees F. If you have a high-performance window, the temperature could be as high as 55 degrees F, assuming an average room temperature between 68 and 70 degrees. Neither temperature is low enough to generate significant condensation. Excessive window condensation and high energy bills are related problems, and insulated windows address both of them. They reduce heat loss and lower your energy bill in winter, and they retain the cool air generated by your cooling system in summer, which saves you even more money. You may balk at the cost of replacing all your windows, considering that the average cost to replace just one is between $440 and $690 or higher, depending on where you live. You don't have to replace all of them, just the ones that suffer the most condensation, which are typically in smaller rooms, such as bedrooms. Design considerations may enter into it, considering that it may be difficult to find windows that match the ones you have. If a window is constantly covered with condensation, though, and the room feels cold, altering the room design to accommodate the new window may be less expensive and more effective than upgrading the insulation in the room.